For some panels I prefer the black and white to color. 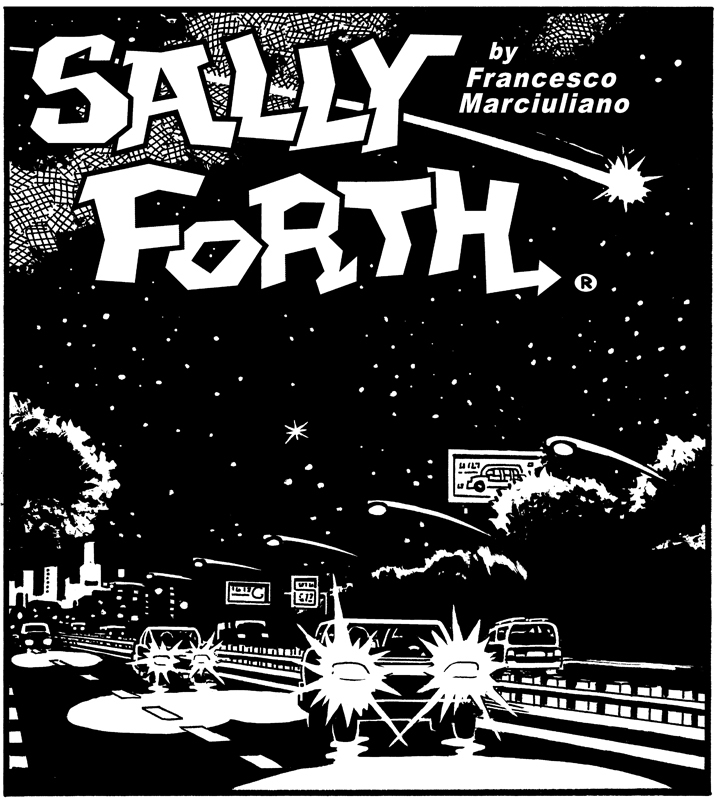 For example here’s the drop panel for the April 2nd Sally Forth Sunday page with and without color. The black and white just appeals to the film noir side of me I guess. 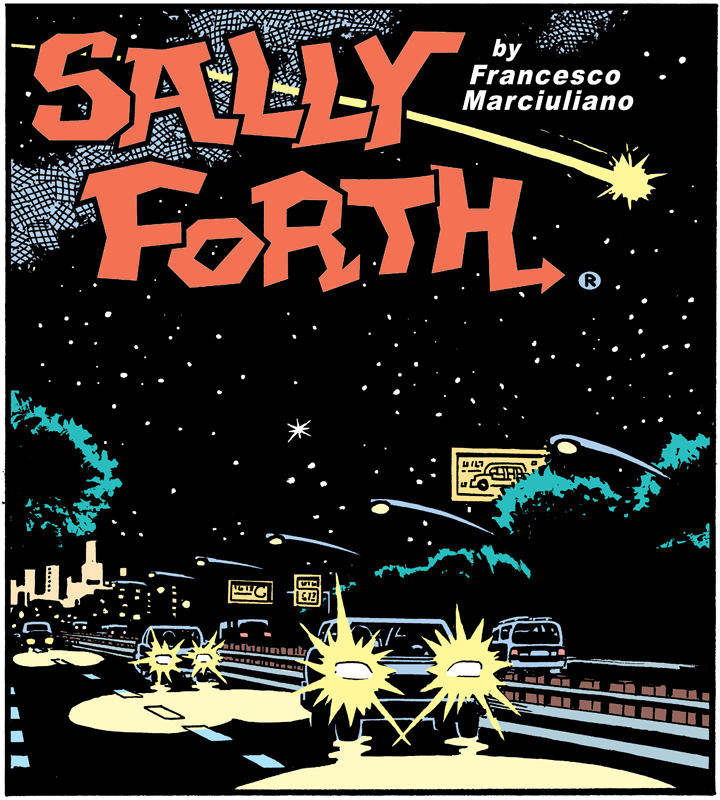 just check out Sally Forth drop panels.